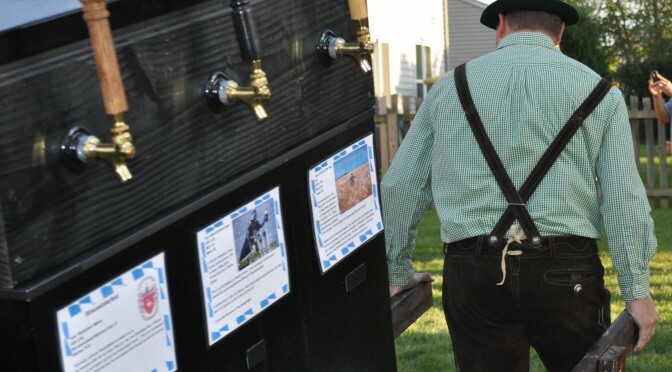 My wife and I throw our annual Strausstoberfest party every year on the last Saturday in September. This occurs during the traditional Oktoberfest celebration. Oktoberfest is synonymous with beer, awesome food and a certain amount of over the top pomp and circumstance. For the last part, I decided that the beer I’ve spent the last 2+ months caring for MUST have a grand entrance. 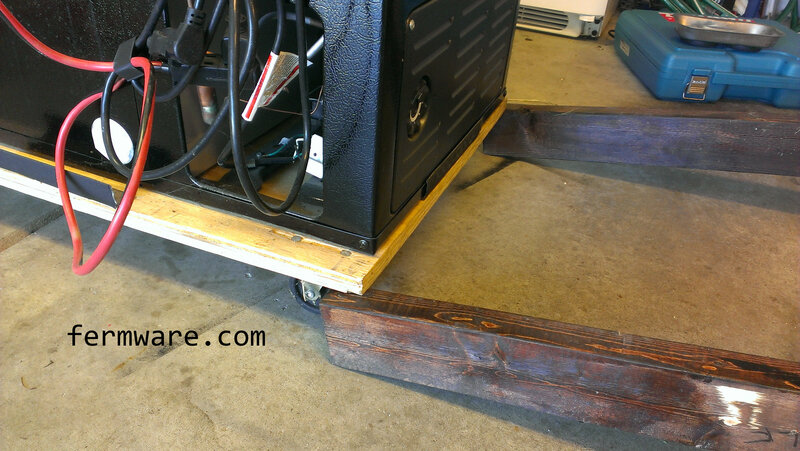 An afternoon for the build of the cart. 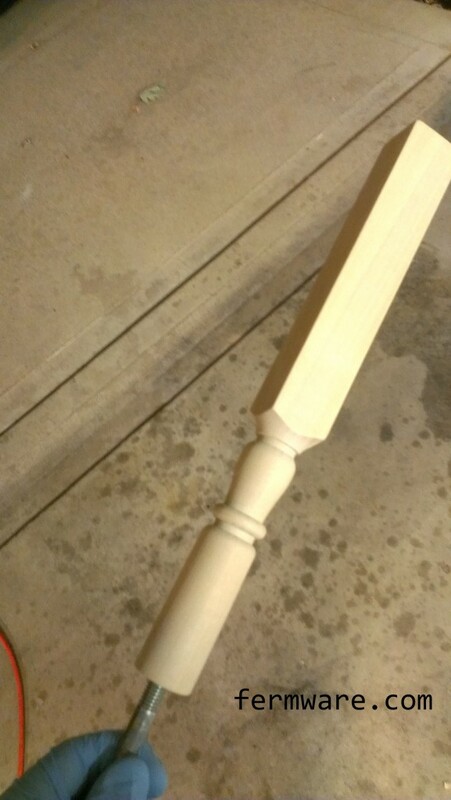 Longer if you want to paint or stain it. 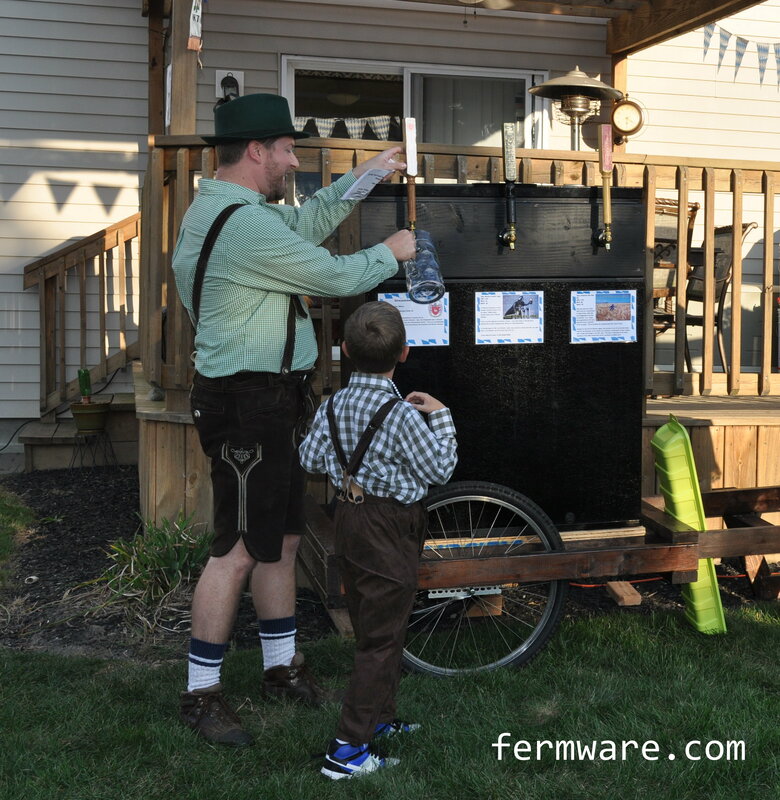 Here I am rolling out the Bierwagen. Notice the tap handles I made in the post Super Easy Tap Handles. Here I am “tapping the keg” with my son looking on. o’zapft is! Here is a 2015 update. I’ve got my Hipster Cream Ale WBHY 3D printed tap handle as well as a 3D printed Darth Vader bust added to my Super Easy Tap Handles. 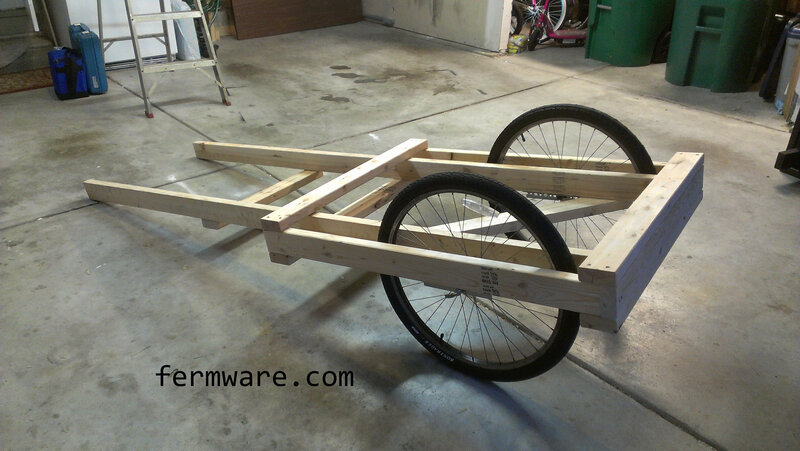 The “rolling chassis”. 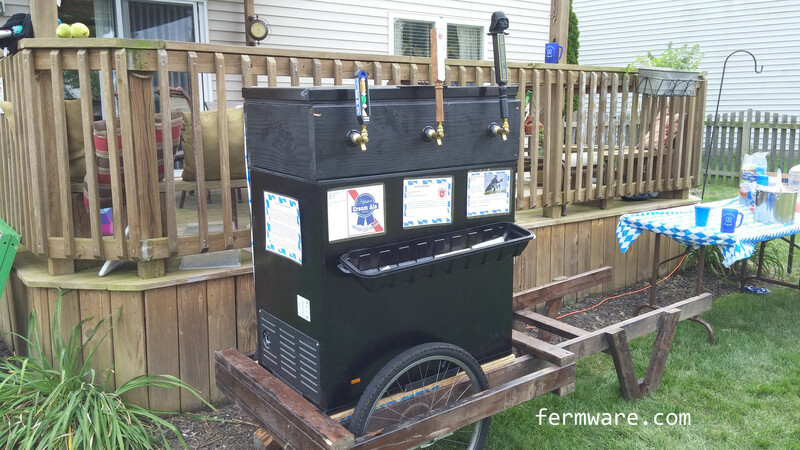 It uses the front wheels from my bike and my wife’s bike. We don’t use them much in the fall, so why not be resourceful and use them? 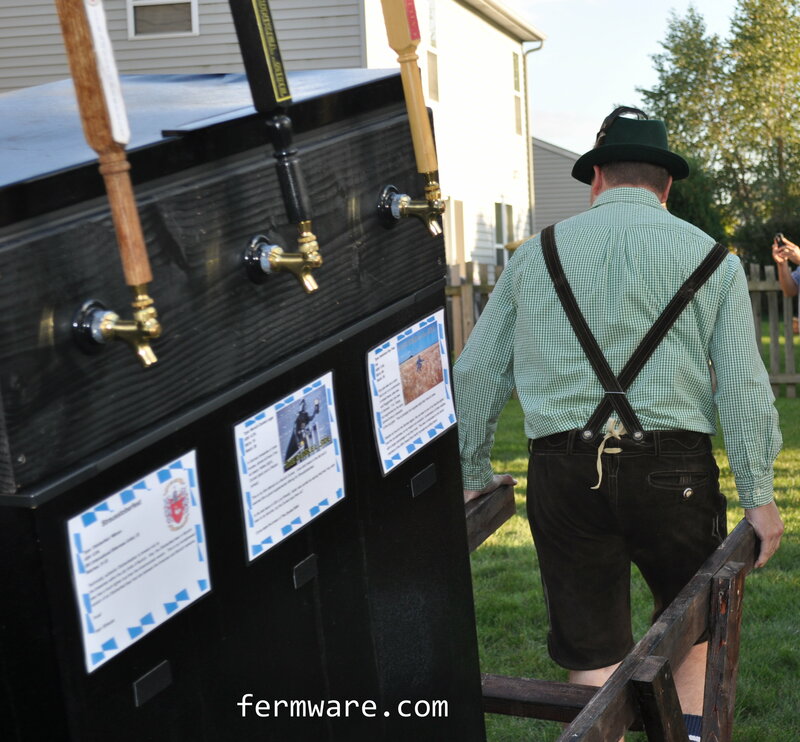 The Bierwagen works in concert with my Keezer Dolly. 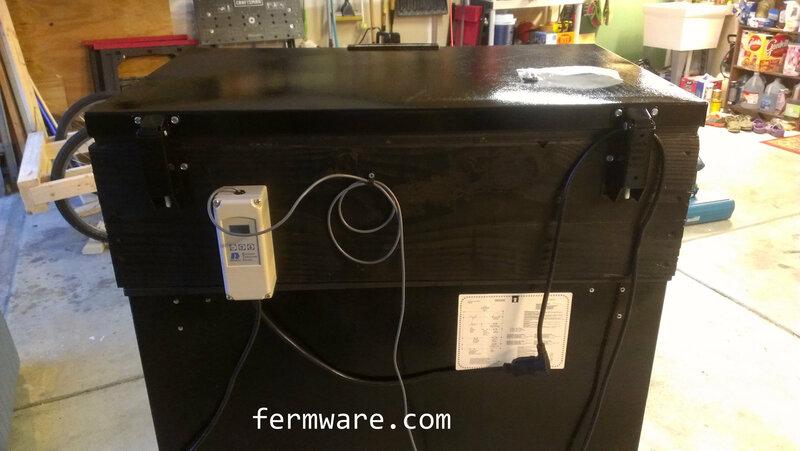 Nothing too novel here, just another keezer collar and my Ranco temperature controller mounted on back. Stay tuned for my updates on the build for this project. Ok, so the big party is two days away and you realize that in your months of planning down to the last detail, you actually forgot one important detail. Method to actuate said faucet system…DOH!!!! 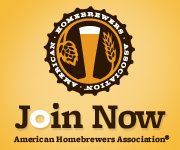 A weekend of brewing followed by 9+ weeks of TLC and lagering of your Oktoberfest beer. This needed some representation. A couple pairs of vice-grips were not going to work in this situation. Once you have collected all of the supplies, about an hour max. More if you are also going to paint and design your own labels. Insertion tool (optional if you plan ahead, not an option if only have days). Make sure you get the 3/8″-16 version. 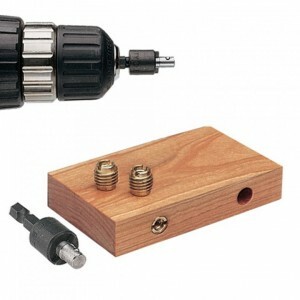 As of 5/31/14, the price was $10.99 at Rockler. 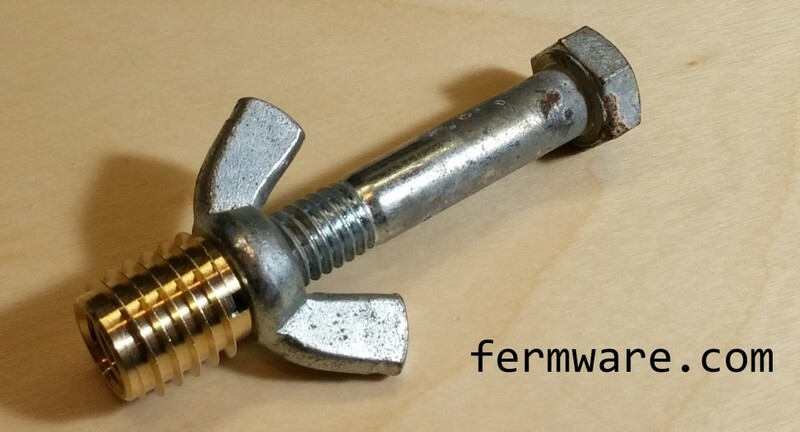 Alternately, you could use a 3/8″-16 threaded bolt and two corresponding nuts, which I also didn’t have on hand at the time of build. If you are doing these often, I would get a tool. If not, maybe make the call yourself on how MacGyver you want to get. 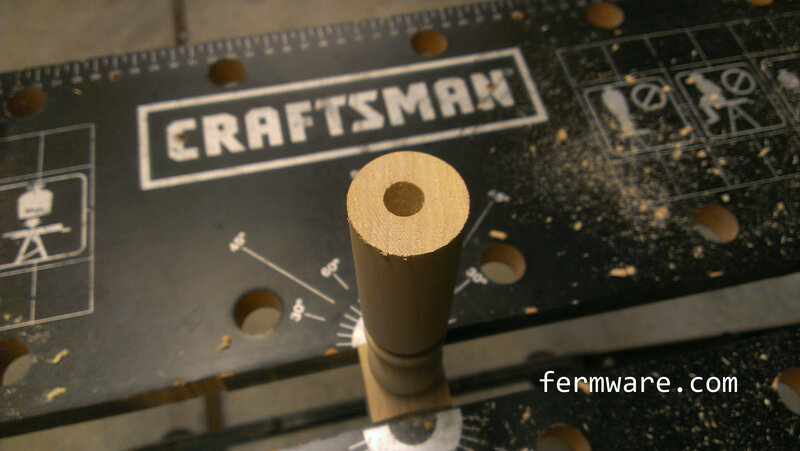 First, you need to cut off the little nubbin on the end of your spindle (if applicable). Then, decide how long you want your tap handles to be and cut each of the fancy ends off of the spindle to your desired length. 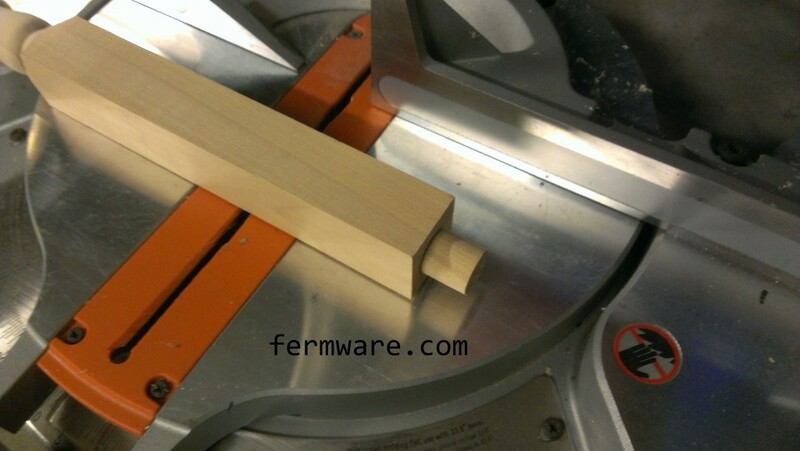 Try to cut perpendicular to the spindles axis. I used a quick clamp to hold it to my miter saw (basically because I had misplaced the super handy integrated clamp that went with the saw). 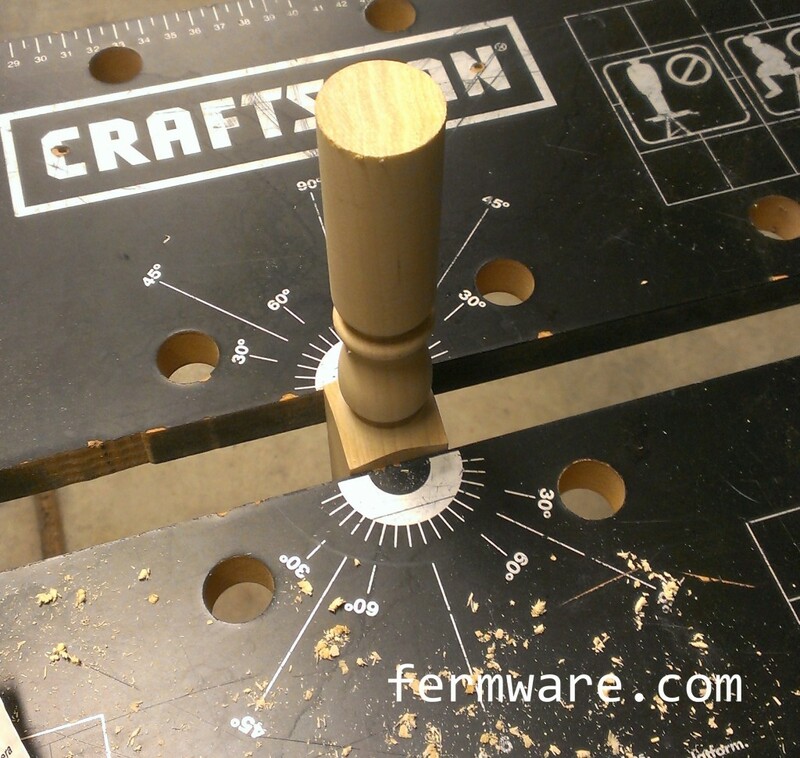 Using your vice or whatever clamping system you fancy, get your tap handle secured for drilling. 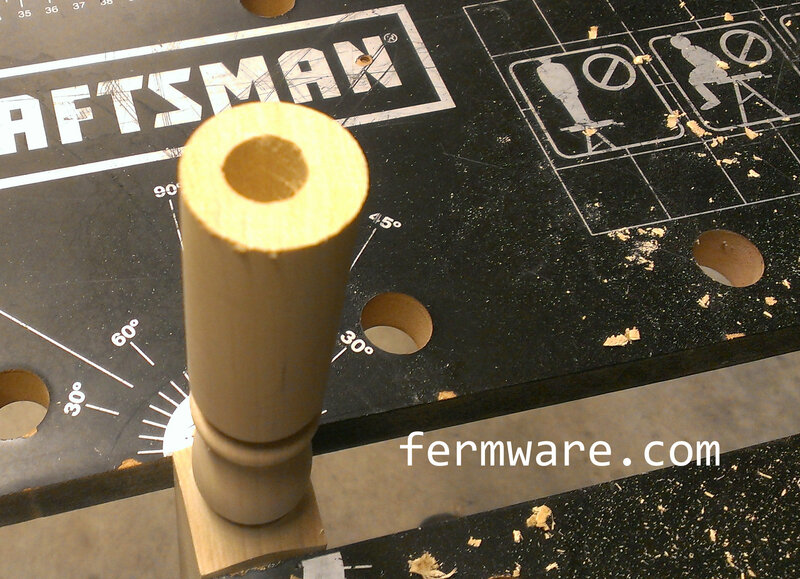 If you are seriously cool and have a lathe or a drill press, go for it. I tried a hole drilling jig, but the problem is that the spindles do not have nice constant diameter sections, which made squaring up the jig virtually impossible. 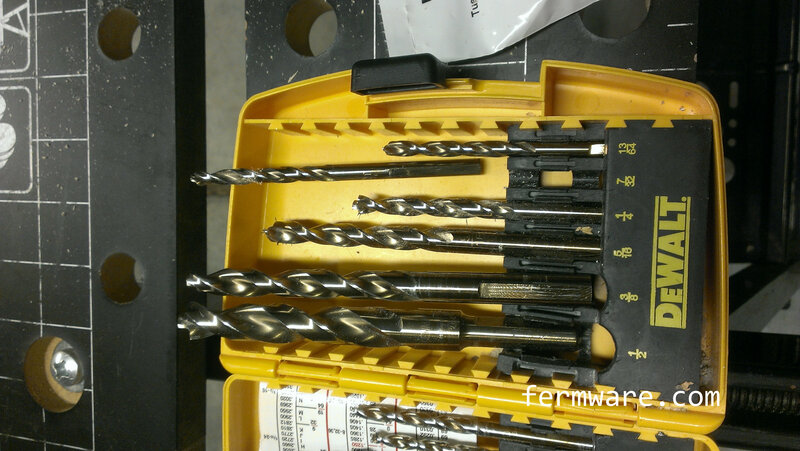 Drill progressively larger holes in the bottom end of the tap handle to work your way up to a 1/2″ hole. If you have the means, I highly suggest you don’t drill off center as I have obviously done in these pictures. November 2, 2014 update: You’ll see further down alternate methods to install the insert. This picture directly below shows my most recent “tool-less” method. 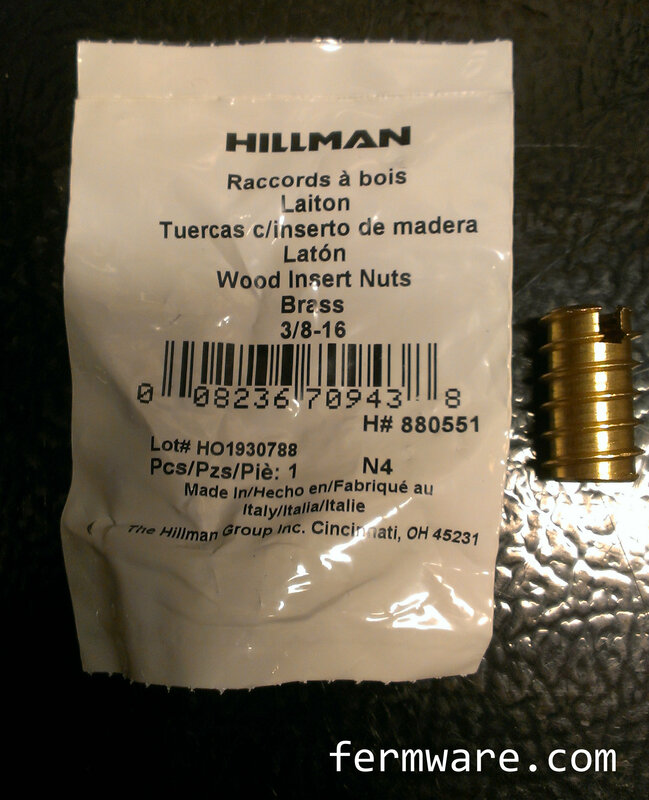 I use a standard 3/8-16 bolt along with a wing nut. 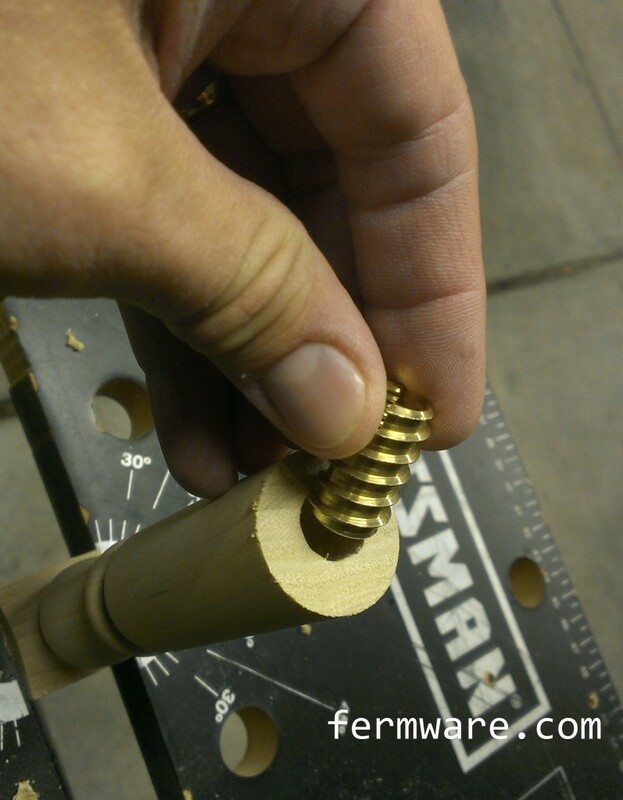 You thread the wing nut onto the bolt as shown, then also thread the brass insert almost fully onto the bolt. 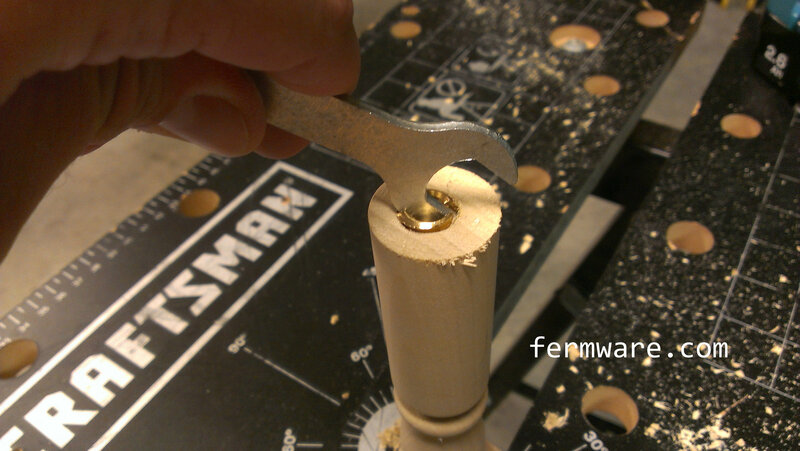 Then tighten the wingnut to the brass insert. You can then use this assembly to thread the insert into the tap handle. 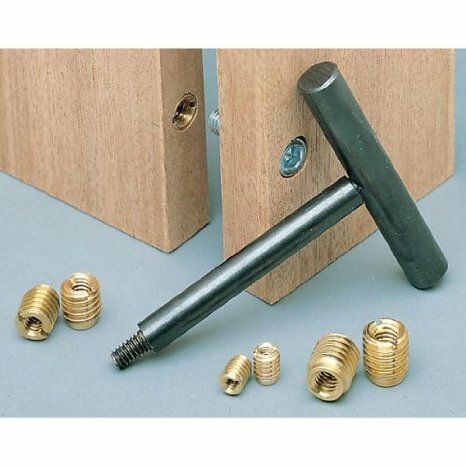 When the brass insert is fully installed, just undo the wing nut and unthread the bolt. 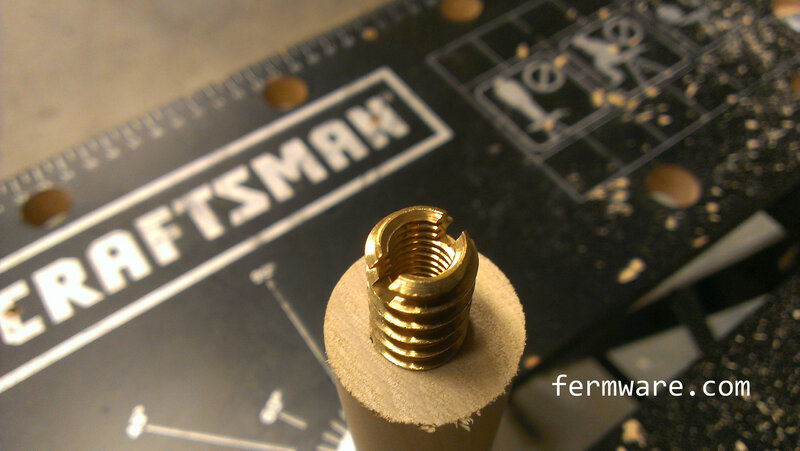 I don’t know how this worked out, but I needed something that would fit in the slot and help me screw the insert in. I ended up using a cheapie wrench that came with some sort of put-it-together-yourself furniture. These are hard to get started straight, so do your best. Usually they pull themselves straight after the first full thread or two. If not, you may want to back it out and start again. NOTE: This is NOT the proper way to do this. I just made do with what I had. 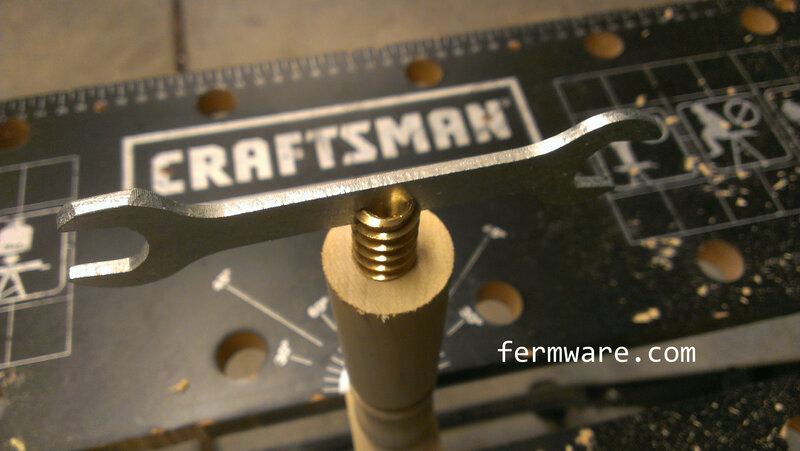 If you plan ahead, get an insertion tool or use the bolt method I mentioned above. Getting the insert flush with the bottom takes a little extra “ingenuity”. Alright, so it’s functional at this point and you could go ahead and use it. 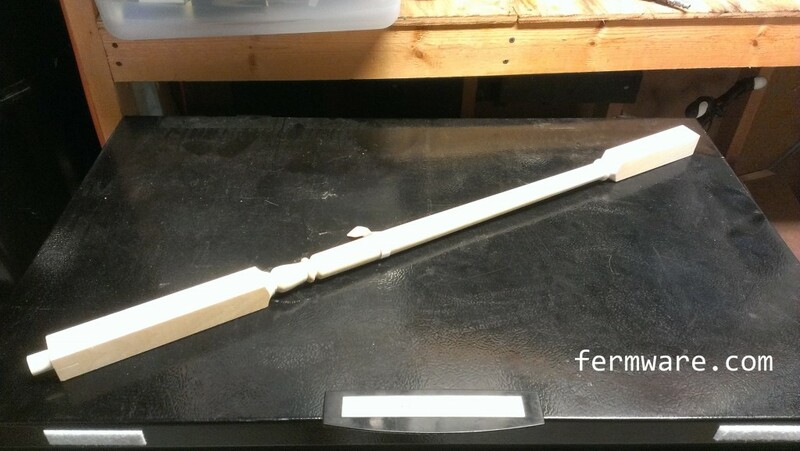 If you want to make it a little more presentable, you could sand and paint it and add labels. For painting, I just used a 3/8″-16 bolt I had and used it as a handle while I spray painted. 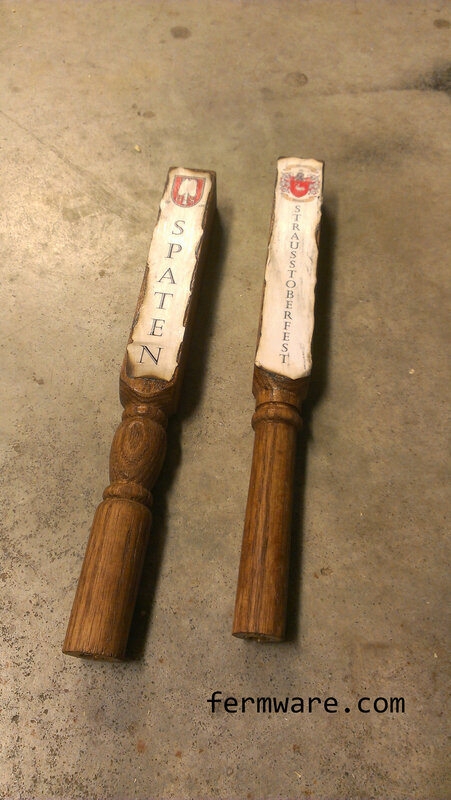 You can also stain as I did on some other tap handles. Before you apply your labels, I would suggest threading the tap handles onto the faucets and determine which orientation is best for not looking crooked. If you drilled the holes by hand this is imperative. 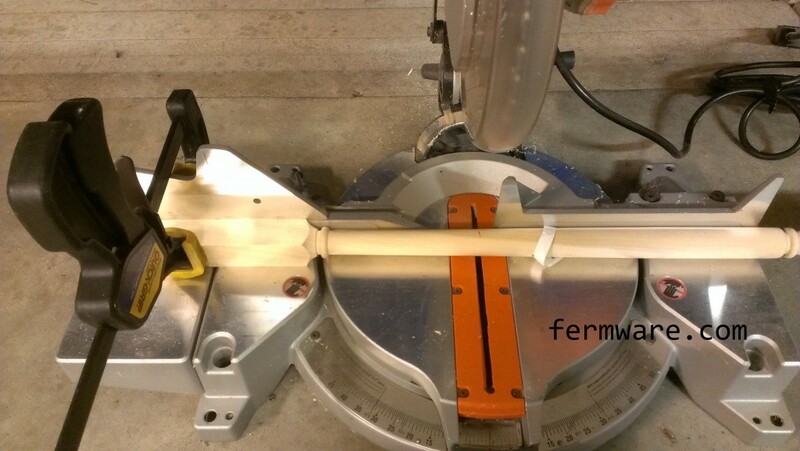 If you drilled using a method that is guaranteed straight, proceed at will. The first year, I designed some labels and my crafty wife stained the handles, did the burned edge treatment on the labels and sealed them with some mod podge. 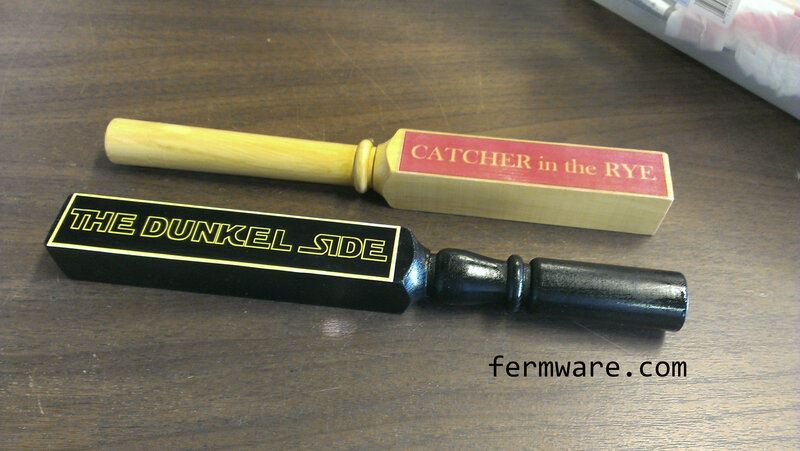 These are my painted versions for my Dunkel and Rye PA. There you have it folks. 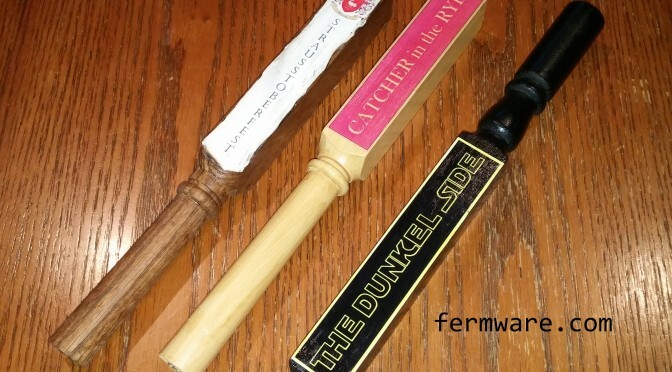 Super easy tap handles.